Seven members of one of El Salvador’s most violent street gangs received 390 years in prison for the gruesome massacre of 11 innocents. Honduran soldiers transported members of two hyperviolent gangs to a high-security prison following a recent breakout where nearly two dozen members eluded military personnel guarding the complex. Statistics released by the Honduran government for 2017 show that Mexico has deported over one thousand more Hondurans than the United States in the same period. 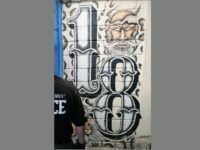 At least 22 prisoners from the 18th Street Gang – otherwise known as Barrio 18 – escaped a military-guarded prison in Honduras. 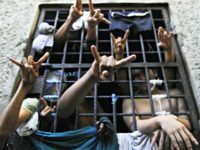 Members of the notoriously violent MS-13 gang are “so feared” in El Salvador that they are allowed to run their own detention facility, with the prison guards and the Salvadoran army ensuring that they remain incarcerated from the outside, reports Daily Mail.